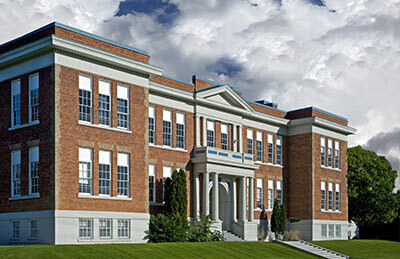 YRW is an ESS equipped with our self-developed digital control technology. 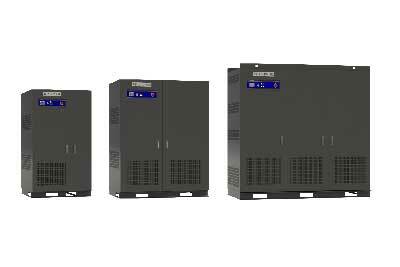 We have a large line-up of inverters with capacities ranging from 10-200kW. 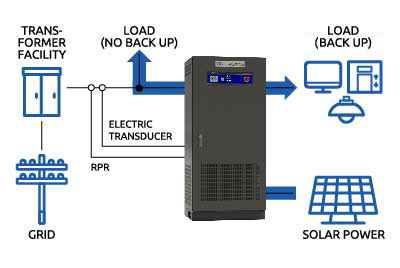 By connecting inverters parallelly, we can construct more than an MW system. 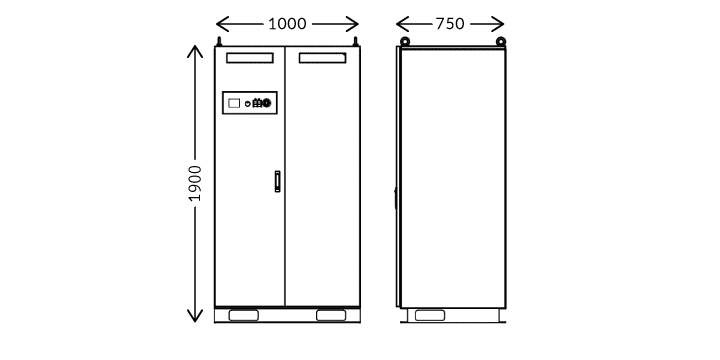 In the case of a sudden blackout, YRW starts the back-up without any interruption (three phase inverter). 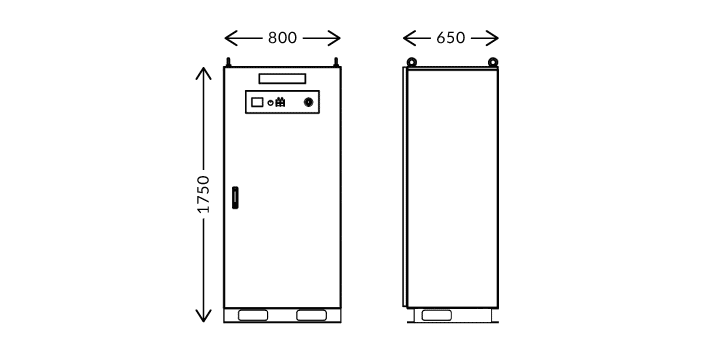 Having the UPS function and lithium-ion batteries, YRW can be used as generators for BCP plans etc. YRW has a stabilizing function as well. 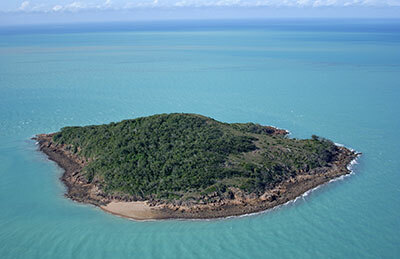 It suppresses variation, and contributes to the growth of renewable energy. 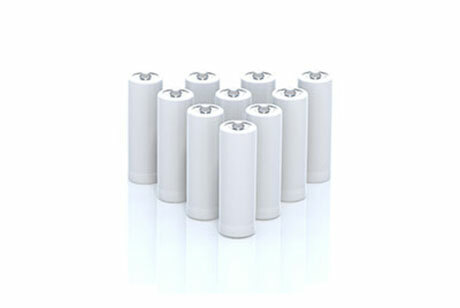 YRW batteries typically keep a capacity of more than 70% after charging/discharging 20,000 times. It performs well even when SOC is 0~100%. Other batteries of your choice can be applied to YRW. 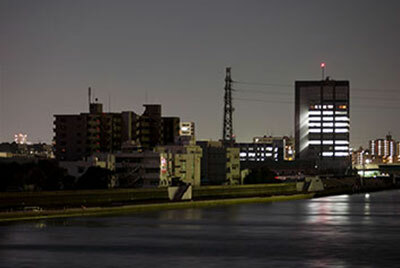 YRW is extremely useful as it can be applied for several purposes: short-term and long-term variation suppression for renewable energy, peak-cutting and peak-shifting, key-device of demand response for virtual power plant, and as a countermeasure for sudden blackouts caused by disasters. YRW can be used for several functions of different purposes at the same time. For example, short-term variation suppression for daily use and counterparts for blackout for emergencies. 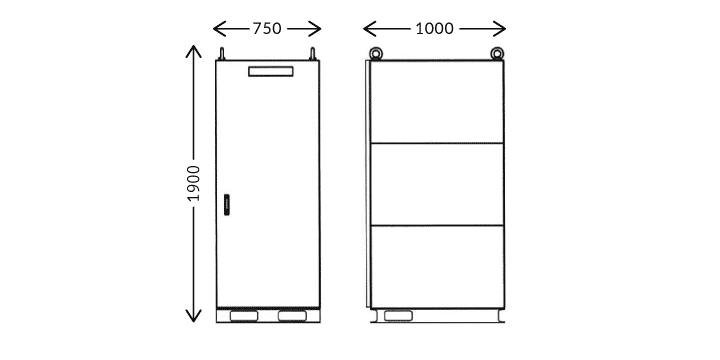 YRW switches from commercial power to battery power without any interruption (three phase). 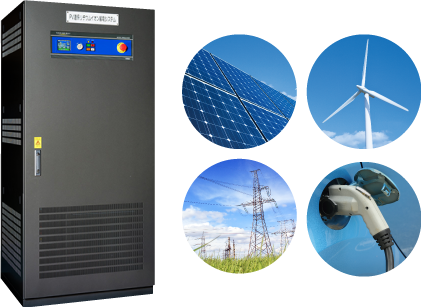 With this function, YRW can be used as a UPS with a stable power supply while self-sustaining. 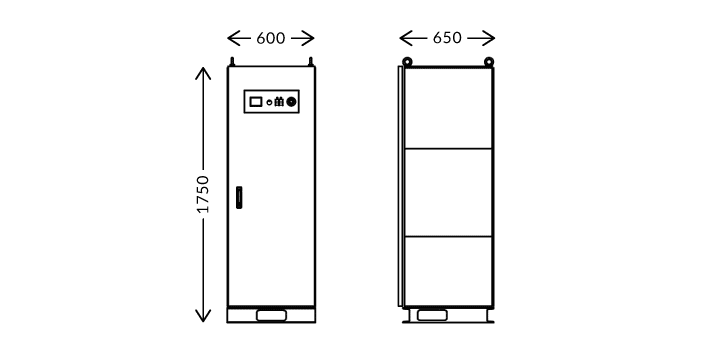 Very suitable in situations where the load cannot be interrupted for even a msec and must be backuped for long periods of time which the typical UPS cannot manage. 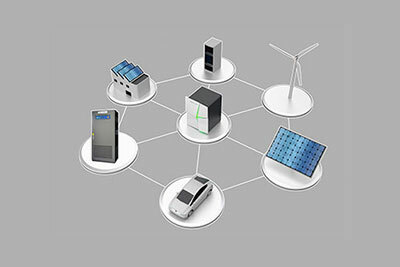 YRW has the experience of being matched with several kinds of lithium-ion batteries by customer demand. It enables you to choose batteries by cost, specs and so on, while other PCS are usually compatible with only one kind. 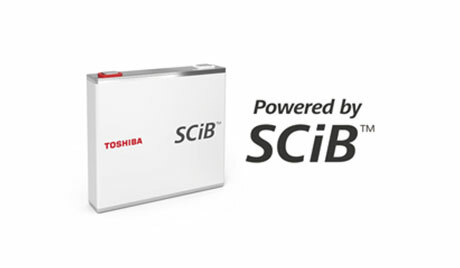 YRW are standardly equipped with TOSHIBA's SCiB™ lithium-ion battery. 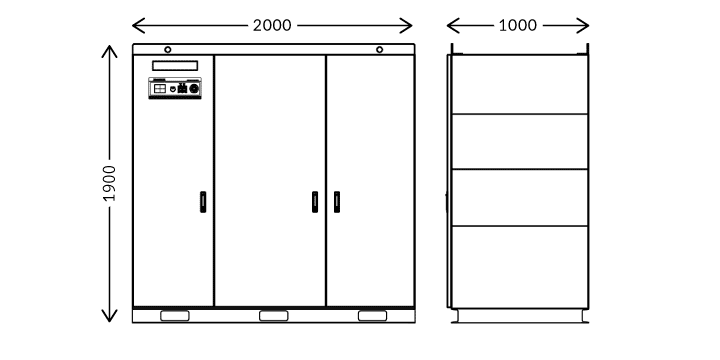 Even if the short-circuit happened by external pressure, there is a very low risk of fire or explosion. Therefore, SCiB™ is suitable for various applications requiring high levels of safety and reliability, such as automobiles, industrial equipment and stationary systems. 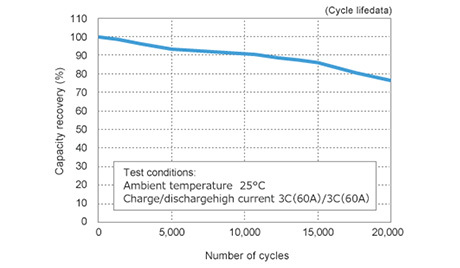 The 20Ah SCiB™ cell maintains over 70% of its capacity after 20,000 charge/discharge cycles at a tough charge/discharge rate(3C) condition. 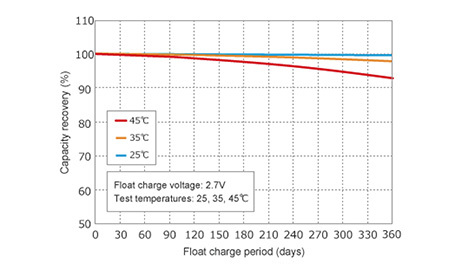 SCiB™ exhibits low deterioration even at float charging where conventional lithium-ion batteries get damaged. 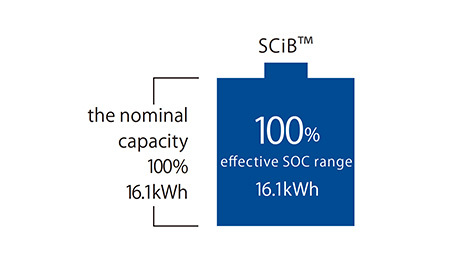 Therefore, SCiB™ can be used in applications such as back-up power source that requires constant voltage charging. * Float charging means continuous constant voltage charging. We have a large line-up with a wide capacity range. 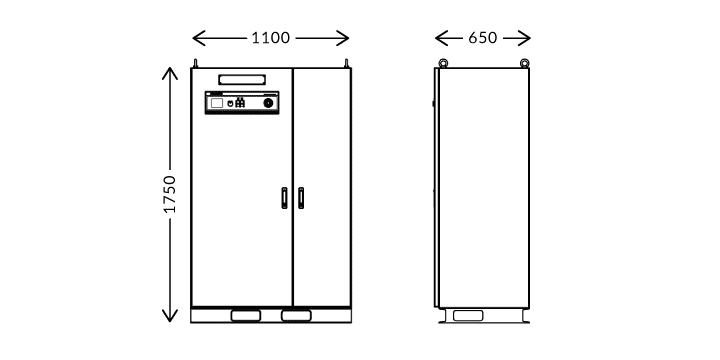 When interconnected, the capacity can be doubled, or more. If you install or control several capacities of PCS in a VPP or smart city project etc., the wide line-up will enable you to control easier as the PCS has the same brains. 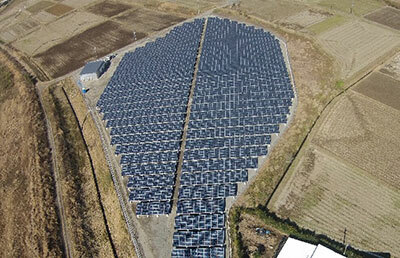 When the supply of solar modules is likely to exceed the power consumption (ex. holidays), the controller unit of YRW restrains the power generation of solar modules so that RPR won't stop the PCS by detecting the reverse current. The function maximizes the use of generated solar power even if the load is very light. Having many functions, YRW is used at several places such as follows. 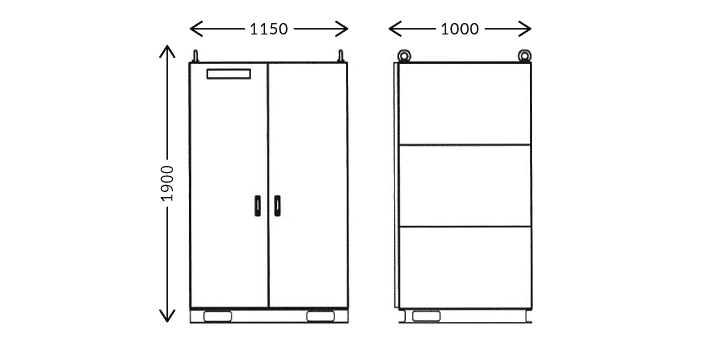 Countermeasure for blackouts at refuge and disaster prevention shelter bases, in combination with solar panels. 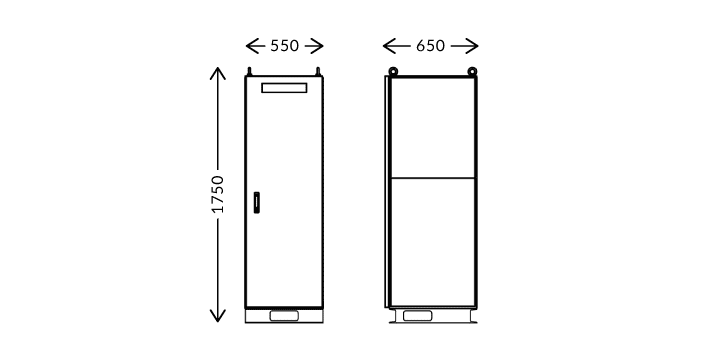 Installed by power companies as a device of demand response or operation tests. For nighttime power selling where any PCS cannot sell solar generated electricity during the daytime. Installed at factories for self-consumption. As an adjustment device of supply and demand of power in local government smart city projects. As a stabilizer for short-time/long-term power variation in remote islands. YRW controls these modes by itself without any IoT GateWay, PC, etc. 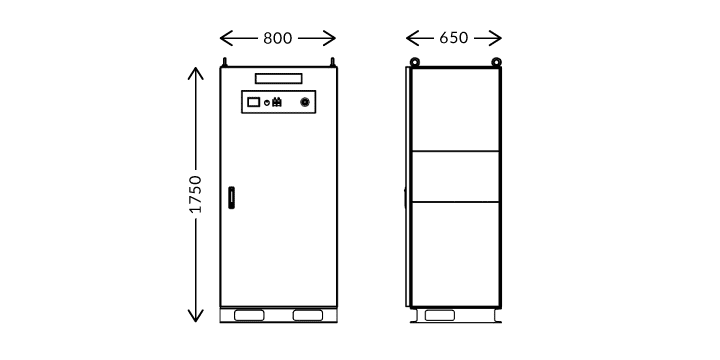 For 10-50kW INVERTER 15/30kW 98%max. 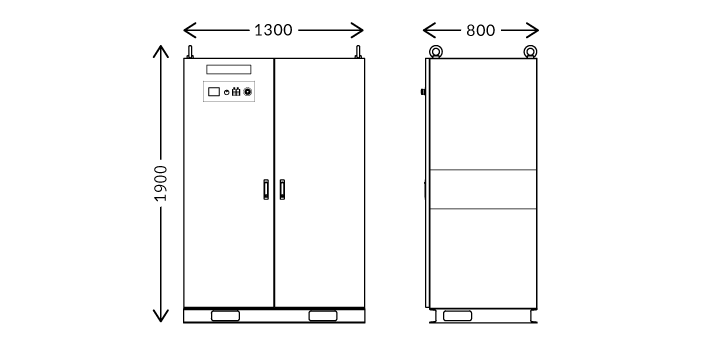 For 100-200kW INVERTER 150kW 98.5%max.